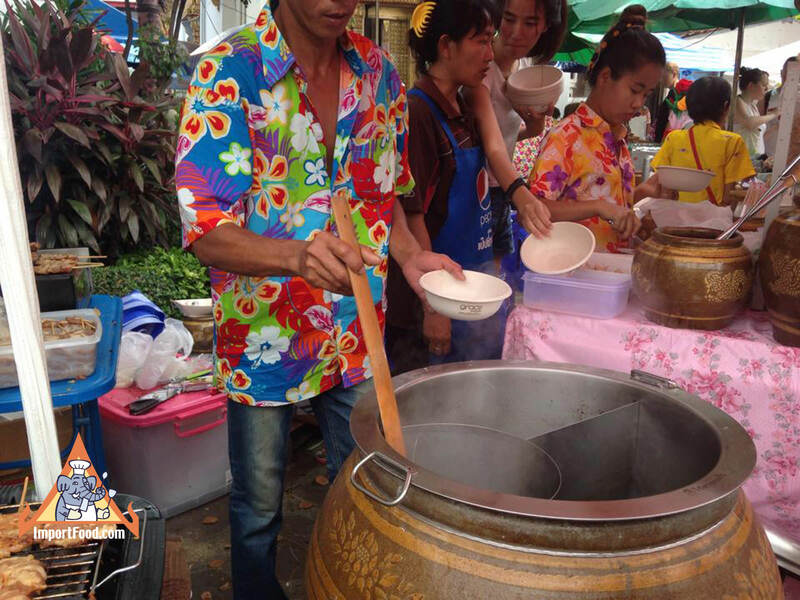 Please enjoy our video filmed at a temple during Songkran in April during the hottest time of the year. 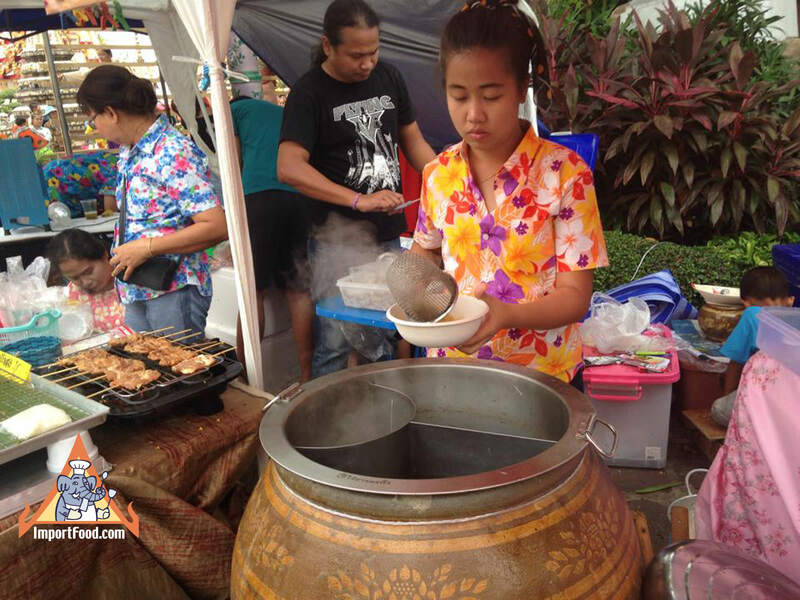 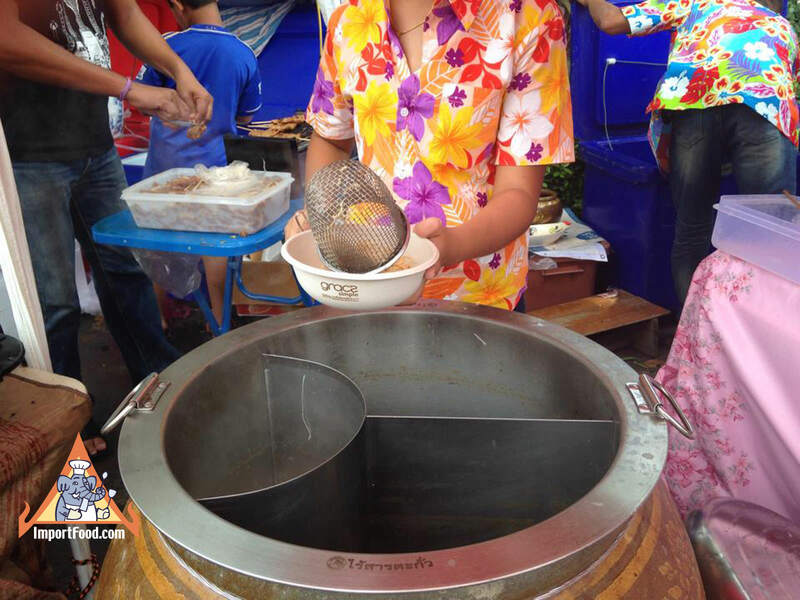 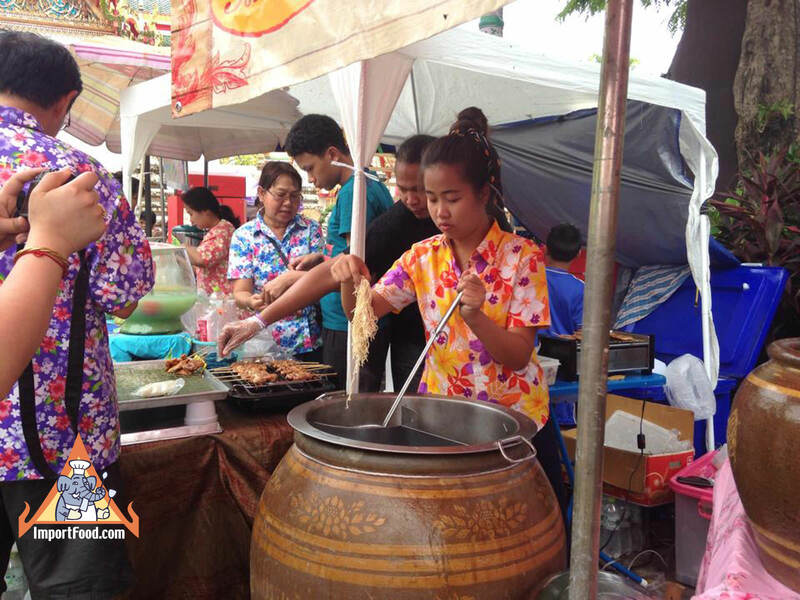 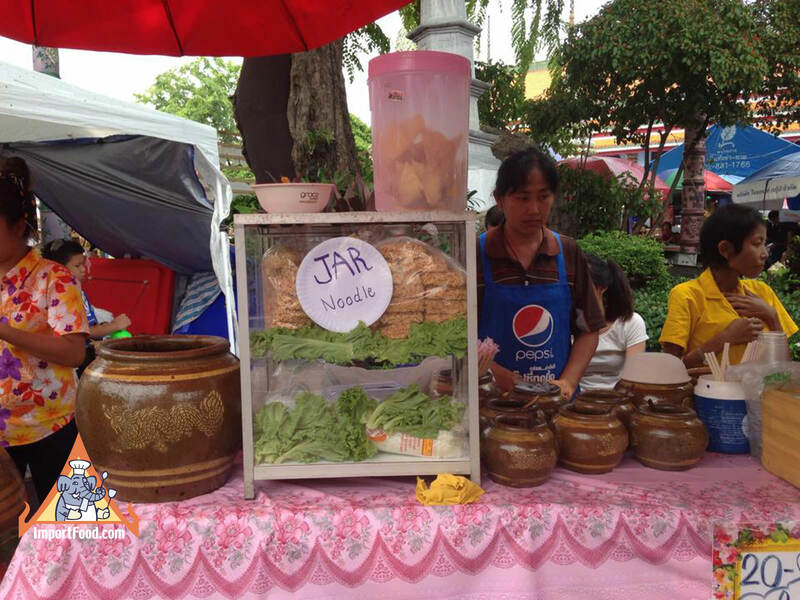 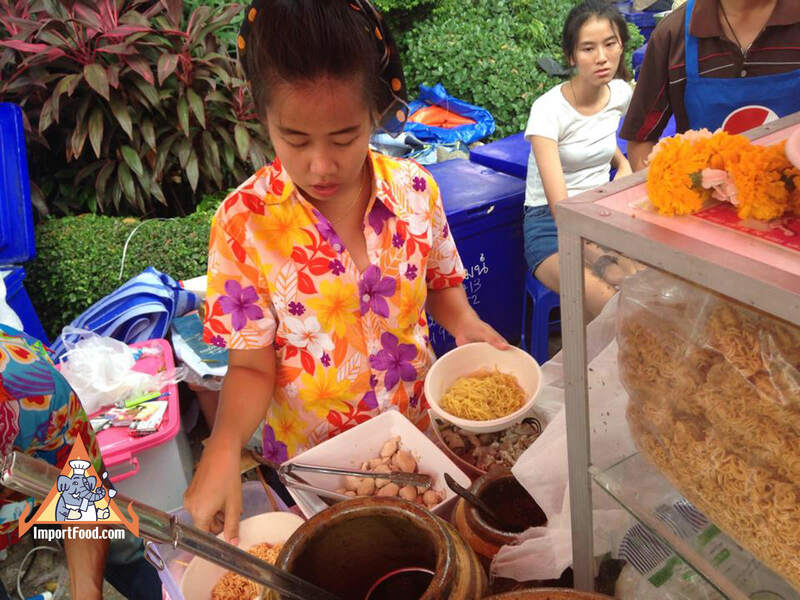 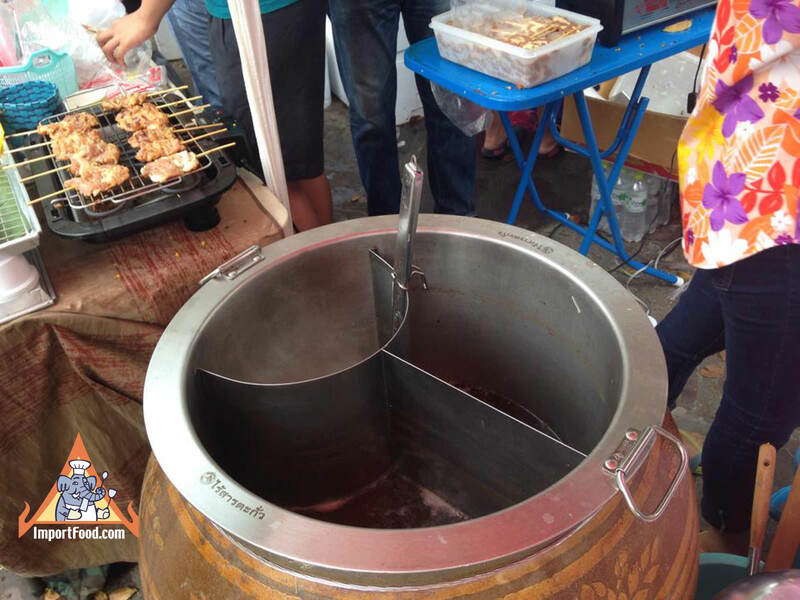 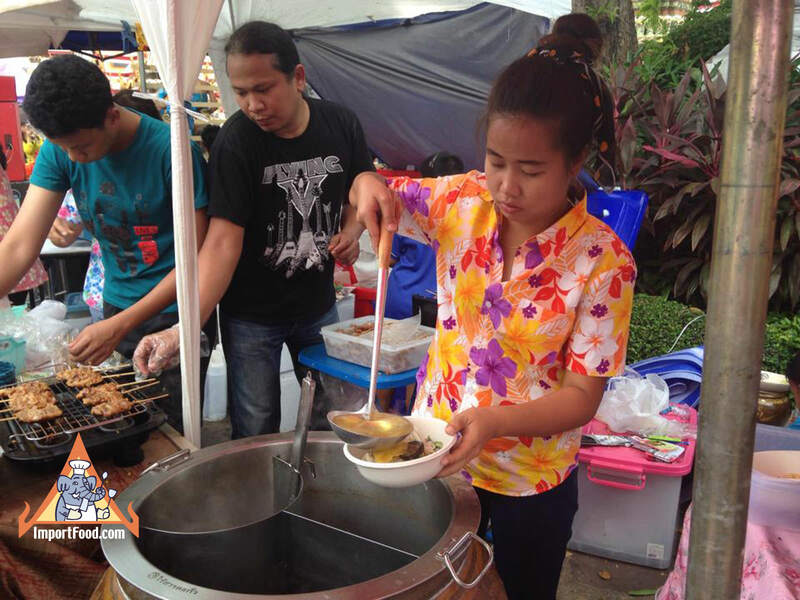 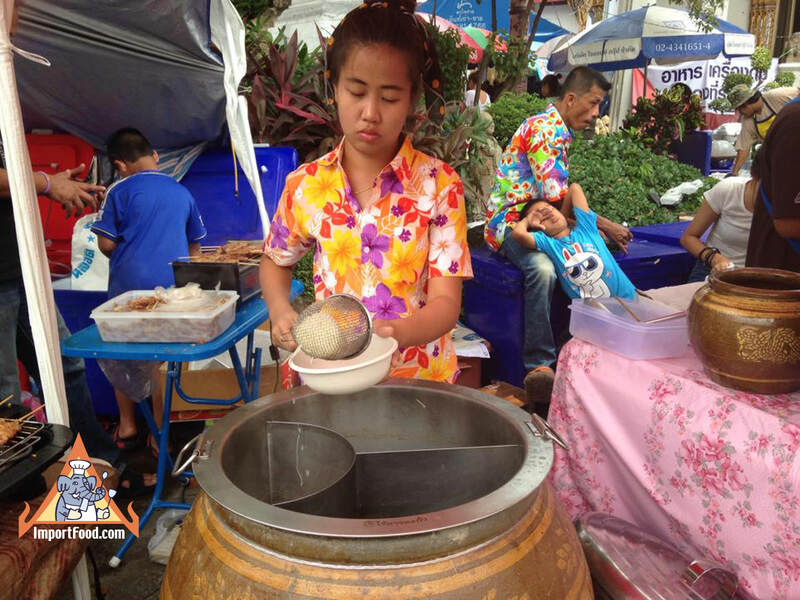 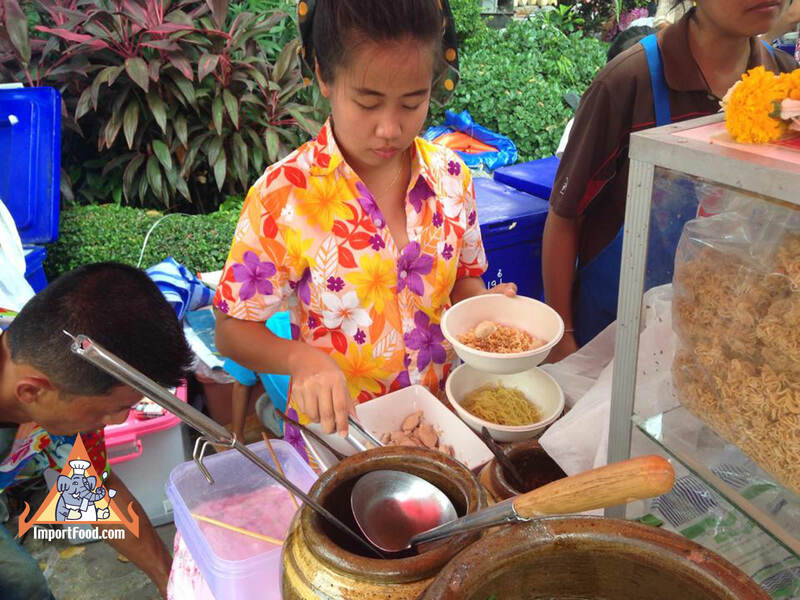 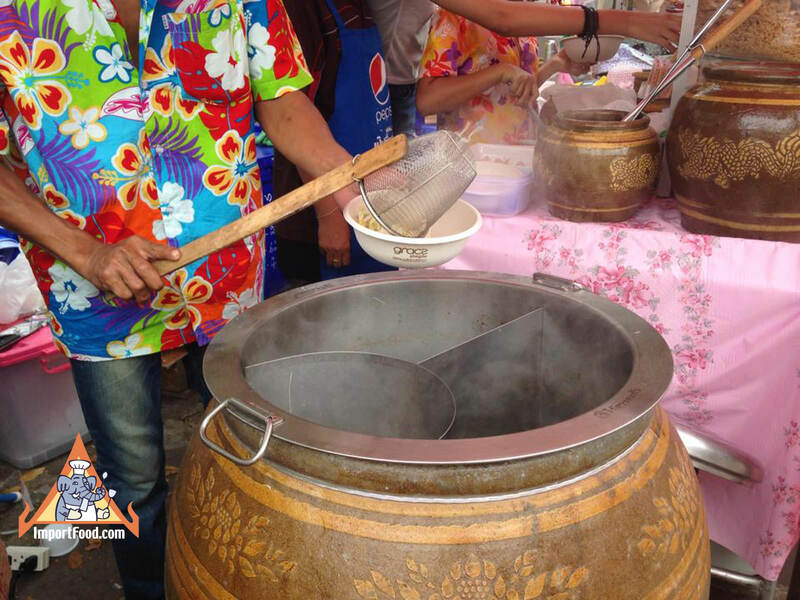 She's serving noodles from a pot that's set inside a decorative clay pot, and the vendor shop is named for the clay pot. 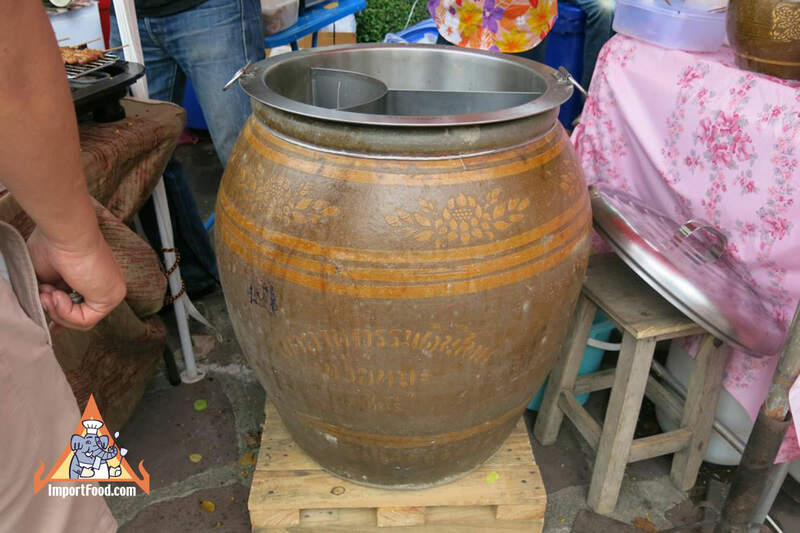 Find the useful three chamber pot she's using, at ImportFood.com's Cookware Link.